The University explores and exemplifies all aspects of economic, environmental, and social sustainability. We don’t inherit the earth from our ancestors; we borrow it from our children. UBC recognizes that to meet society’s needs without compromising those of future generations requires the best efforts of the brightest minds in every field—ecological, economic, and social. Already a global sustainability leader, the University builds its international reputation by taking the lead at home: in Vancouver and the Okanagan, UBC links academic, research, and operational sustainability to become a living laboratory. Prudent with financial resources and mindful of its mandate to society, UBC supports those initiatives that will ensure the long-term resilience of the University and its ability to serve for generations to come. The University creates cost-neutral ways to include sustainability teaching and learning in and across all disciplines, and encourages students, staff, and faculty to carry daily sustainability practices out beyond the gates. In class, in campus plans, in community development, and in partnerships both local and global, UBC exemplifies the hope that we can leave behind us a world worthy of our children. A balanced central budget was achieved, all administrative units and faculty budgets were reviewed. The integrated distributed model is now fully rolled out, with all units reporting into central Finance. Quarterly operating reports are built from the bottom up to monitor the university’s financial outlook throughout the year. The Okanagan campus completed implementation of the integrated and distributed model of Finance delivery to increase financial planning capacity and strengthen intra and inter-campus linkages among operation departments. Completed the implementation of the new finance structure across the Okanagan campus for the delivery of operational financial management services, and rolled out the new driver based budget model for Faculties that is closely aligned with the model adopted on the Vancouver campus. The AVPFO also established a Campus Planning and Development portfolio that is closely linked with the system –wide portfolio to strengthen procedures and policies around the capital and infrastructure planning activities on campus. All of these new capabilities and linkages provide the ability to improve planning activities around the Campus 5 Year Financial Outlook process. Completed development and gained approval of 20-year Sustainability Strategy for UBC’s Vancouver campus. Continued implementation of Climate Action Plan, including optimization of Bioenergy Research and Demonstration Facility with industry and research partners. Engaged 890 students, faculty and staff in applied campus research projects through the SEEDS Sustainability Program, resulting in 75 projects and 180 student reports. 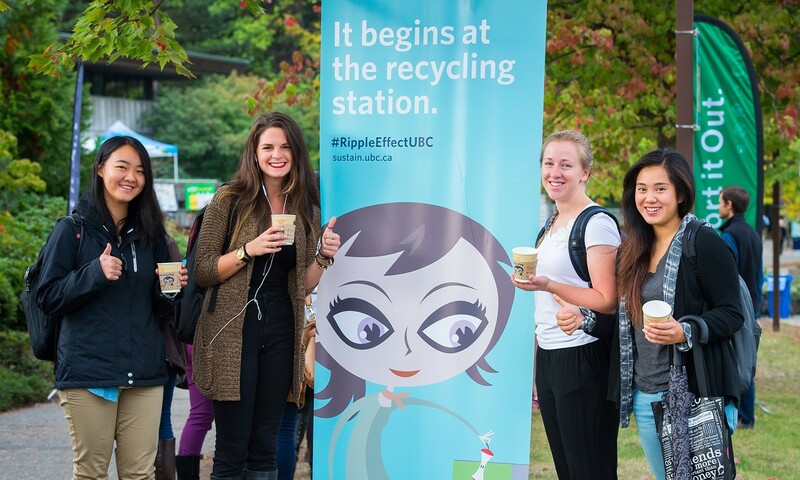 Began implementation of Zero Waste Action Plan, including rollout of enhanced waste infrastructure and communications and engagement strategy, achieving a 61 per cent overall waste diversion rate at UBC’s Vancouver campus. Launched UBC Sustainability Scholars and continued Greenest City Scholars programs, providing 30 paid graduate student sustainability internships with partners on and off campus, including City of Vancouver, BC Hydro, Fortis BC, and Musqueam First Nation. UBC Okanagan’s campus continued the optimization of campus legacy academic buildings and district energy system, the integration of sustainable design concepts in major building renovation projects, and the promotion of voluntary actions to foster energy conservation through the Power of You program. Meet the social needs of faculty, staff and students, from local and affordable housing, to childcare and transportation. As part of UBC’s commitment to engaging with the community, the UBC Board of Governors adopted Campus + Community Planning’s ten Engagement Principles to enable constructive dialogue with our community. Gained regulatory approval for Phase 1 of the low carbon Neighborhood District Energy System serving UBC’s residential neighborhoods. Completed updated Transportation Plan for UBC’s Vancouver campus and continued work with key partners to advance rapid transit planning. Launched 8 new Community Development programs and events that leverage UBC’s public realm investments in order to provide extraordinary campus experiences. Expanded UTown@UBC Community Grant program to enable 29 community projects that support community capacity-building, social vibrancy and connectedness on campus. Revitalization and pedestrianization of Public Realm recognized with several national and international awards. Began implementation of Campus Sustainability Engagement Strategy targeting behaviour change programs in student residences, offices and labs, a key part of achieving UBC’s mid-level strategic sustainability plans. Continued development of UBC’s Okanagan Campus Master Plan with comprehensive input from the Okanagan campus community to guide campus development. A whole systems planning process for sustainable development and resource-efficiency will support the Campus Master Plan.